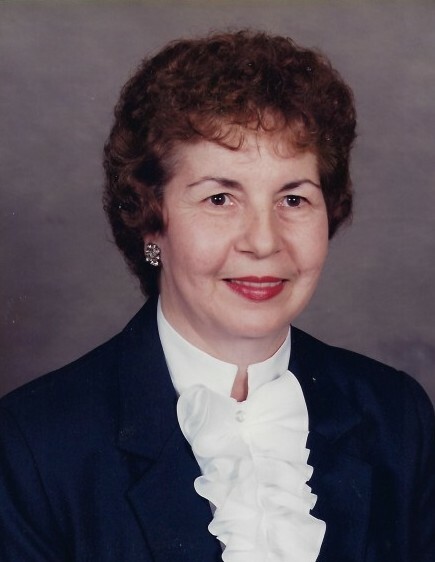 Obituary for Evelyn June (Derr) Patz | Knight-Confer Funeral Home, Inc.
Evelyn June Patz, 84, of Montoursville, died peacefully Saturday, Sept. 8, 2018, at the Gatehouse of Divine Providence Hospital. Surviving is her loving husband of 58 years, Ben Patz. Born Sept. 7, 1934, in Williamsport, she was a daughter of the late Henry and Lavina (Shuman) Derr. A 1953 graduate of Williamsport High School, Evelyn had worked for a couple years at Divine Providence Hospital, 18 years at GTE Sylvania, and was the bookkeeper for her husband's business, Ben Patz Masonry, for 26 years before retiring in 1996. She was a lifelong member of the former St. Matthew Lutheran Church where she served on many committees and was also church treasurer. Evelyn was a current member of St. Michael's Lutheran Church. She loved gardening and tending to her flower beds, had a knack for decorating and kept a beautiful house. Evelyn was a people person; she was outgoing, loved socializing and being around others, especially her family. Surviving in addition to her husband Ben, whom she married Aug. 20, 1960, are a sister Lavina Haller, of Duboistown; sisters-in-law, Agnes Pansegrau (Bruno), of Calgary, and Erika Hort (Richard), of Northumberland; brothers-in-law, Egon Patz, of West Palm Beach, Fla., and Ozzie Patz (Jean), of Muncy; and many nieces and nephews whom she loved dearly. In addition to her parents, she was preceded in death by a sister, Ester Caulkins; and two brothers, Harold and Elwood Derr; sister and brothers-in-law Nellie Hartman, Adelwin Patz and Gisela Winder. A funeral service to honor the life of Evelyn will be held 11 a.m. Wednesday, Sept. 12, at Knight-Confer Funeral Home, 1914 Memorial Ave. Burial will follow in Wildwood Cemetery. A viewing will be held from 10 a.m. until the time of service on Wednesday at Knight Confer. Memorial contributions may be made to the Susquehanna Health Foundation c/o Home care and Hospice 1001 Grampian Blvd. Williamsport, PA 17701.